Ah you want to hide the timezone input itself. Those settings affect the display of the timezone in the topic, topic lists and emails. You can set a default timezone using events timezone default, which will set a default timezone for the timezone input the Add Event modal. There’s currently no setting to hide the input itself. You could hide it with css. You should only do this if you’ve set a default timezone. Make a list of events in users profile: what events he visited in past and what event he is going to visit. Hey Denis, thanks for using the plugin. Those sound like interesting features, but before I get to stuff like that, there are a number of other RSVP features I’ll be looking at, particularly along the lines of what @tobiaseigen laid out above. Apologies if this was mentiend before. 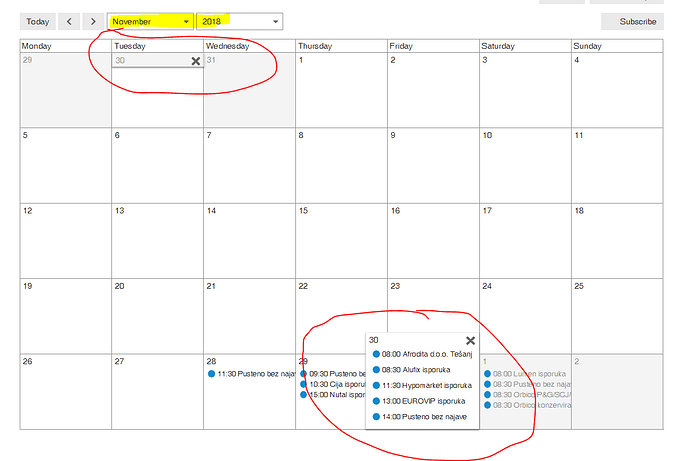 Is there way to get clickable topic on calendar hidden by amount of items for one day . If there is more then 4 events on one day. 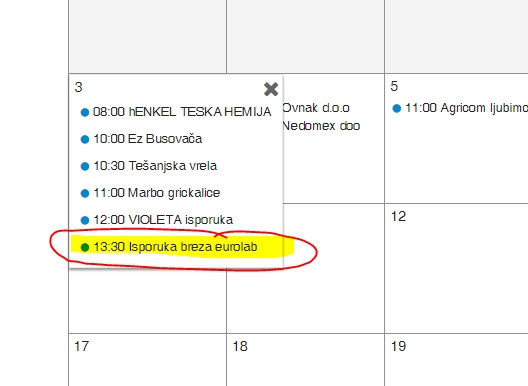 Calendar page shows more button, whic opens submenu but then topics are unclicabile. Can you link me to your site where this is happening? I’m not seeing it, e.g. on my sandbox it’s working fine. Regarding issue whit opening hidden events by amount of item inside one day. Looks like there is issue only in one of two cases. When we have multiple events on day which repeat on calendar. Eg. if you try to open 3 th day and there is also 3th day of next or previous month on same calendar. Although the plugin is quite complete when it comes to features, there is a trivial one that’s missing: recurrence. Sometimes the same event can happen at different times and dates (daily, weekly, quarterly, monthly, yearly…). It’s not optimal to create a new topic for every recurrence of the event, which is what we have to do now (or even change the topic’s datetime every time). 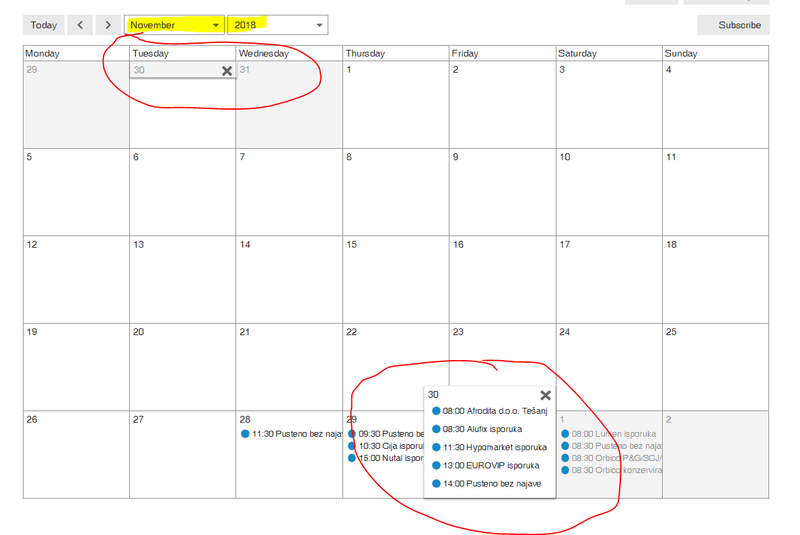 Having recurrence on events would not only solve this, but would also show it more clearly on calendar and agenda views. So, would it be possible to add this “simple” feature? It may be possible that the recent update to FA 5 has broken some assets. One of them is the icon from the “Subscribe” button in the Calendar view. Hi, this plugin is being very useful in our website. Thank you very much! There seems to be a problem with the iCal export. For each event, the URL defined is the URL of the calendar, not of the event itself in Discourse. Any news on an update of the plugin? Hey, I’ve been away on holiday, but slowly resurfacing. Will take a look at this soon. thanks alot for your effort this plugin fits very well our needs! I already tried to create a future event so there is data to share. p.s. : évènement is correct but it’s part of the numerous idiotic orthographic reforms from the French Academy of December, 6, 1990. The bottom line is: if there’s already an existing string translated, “correcting” it is probably not a good idea. Comparing occurrences of “événement” and “évènement” will show why. This is the place for conversation, and coordination. I tried to click on the line at GH to make a comment there but it didn’t work. I wanted to have this conversation then, as 1) I’m busy doing something else, 2) I didn’t want to enter a PR war over the ‘right’ way to translate. No one has an idea why the subscription to a calendar doesn’t work? Is there anyone where the subscription works out there? I’d find this very useful too. My users have begun requesting this feature.